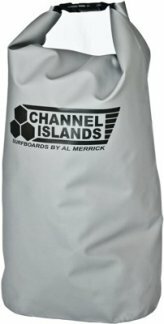 The core-surfers best friend is an ideal bag for boat, beach and travel. Welded waterproof construction protects your gear from the elements. Roll down top with sturdy clips give easy access and adjustable sizing. Set up to be used as a backpack with multiple handles to easily grab from any direction. Roll-up closure ensures the best watertight seal possible. Cinch straps add peace of mind and secure compression with big loads. Withstands quick submersions and will float if dropped in water. The core surfer's best friend is an ideal bag for boat, beach, and travel. Ultra-sturdy welded waterproof construction protects your gear from all elements. Roll-down top with sturdy clips give easy access and adjustable sizing. Set up to be used as a backpack and with multiple handles to easily grab from any direction. 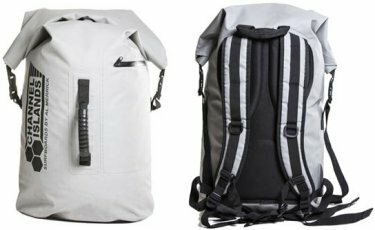 Features include: 47.5L capacity rolled closed; Waterproof zipper pocket; padded adjustable backpack straps; padded backing. 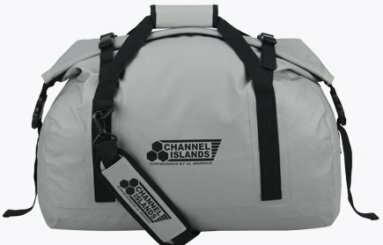 The Dry Sack 25L from Channel Islands. A heat welded seamless design ensures the inside of your pack stays dry. Durable PVC construction stands up to abuse year after year while the roll top closure securely holds all your goods in place. This is your go-to bag for quick travel. Because so much more is needed in the summertime! Store all of your daily and beach necessities in the Caris Canvas Tote from O'NeillÂ®. 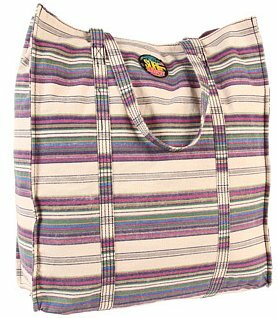 100% cotton canvas printed stripe tote. Back wall zipper pocket and two open pockets for additional storage. Long straps for comfortable toting. O'Neill "Take Surf Seriously" logo patch.